The 1/23 issue of Famitsu rings in 2009 with interviews with 21 developers who are slated to shake things up this year. The meatiest stuff comes from Yoshinori Ono about the FFXIII demo. 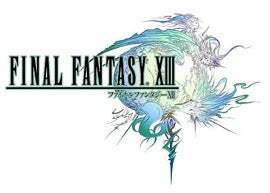 Final Fantasy XIII producer Yoshinori Kitase hopes to ramp up FFXIII production and that the PS3 gains more ground. The PS3, Kitase says, must have more attractive games to draw in players. Famitsu says FFXIII is the best choice, and Kitase states that he hopes so. Future news on FFXIII will focus less on cutscenes and more on gameplay. When asked how long the demo is, Kitase explains that it will only let players explore "the basics" and has players try out the game's new battle system. Also in the same issue, Hideo Kojima states that there are parts of Metal Gear Solid 4 that he'd like to change, but cannot. The reason? Disc space issue, apparently.